This guest post comes from Erika Howard, senior co-chair of Vox: Voices for Planned Parenthood and 2013 winner of the Fannie Bigelow Prize. Howard is expecting to graduate in May 2013 with a major in English and Minor in Women’s Studies. She has been an office assistant at SBAI since 2011. 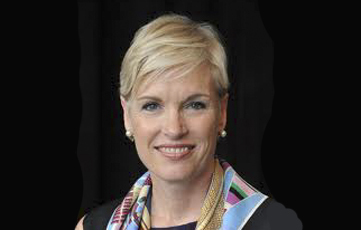 Feminists of the Rochester area, get ready to be excited, because SBAI has some great news: Cecile Richards is going to be visiting the Rochester area! Yes, THE Cecile Richards. President of Planned Parenthood Federation of America and the Planned Parenthood Action Fund, national leader in the field of women’s health and reproductive rights, regular contributor to the Huffington Post, and an icon to activists everywhere—the woman is practically a superhero. She’ll be stopping by Hobart and William Smith Colleges to kick off their spring President’s Forum Series with a talk entitled “The Future of Women’s Reproductive Health and Rights” on Tuesday, February 5, 2013, at 7:30 p.m. in the Vandervort Room of the Scandling Campus Center. It might seem like short notice, but it’s completely worth it to see Richards in action. Just look at what she’s done for Planned Parenthood! Since becoming the president in 2006, Richards has expanded PP’s advocacy for access to health care and made sure that the organization played a large part in shaping health care coverage and services for women under the Affordable Care Act. Under her leadership, the number of Planned Parenthood has doubled, reaching more than seven million. Before her days at Planned Parenthood, she served as president of America Votes, and before that she was deputy chief of staff to Representative Nancy Pelosi (credit willie). In 2012 she was one of TIME Magazine’s “100 Most Influential People in the World,” and currently serves on the board of the Ford Foundation. So make the trek out to Hobart and William Smith to see this incredible woman in action! It is most definitely worth the time. This entry was posted in Announcements, Guest Blogger and tagged #cecilerichards, #guestblog, #PlannedParenthood, #ppfa, #pprsr, #reproductiverights, #women'shealth, #womenleaders. Bookmark the permalink.